Whether you are celebrating today with your significant other, best friends, or feel like you just want some alone time- these simple, yet delicious recipes are a must! I know with everyone’s busy schedule it can be hard to find the time to be in the kitchen, especially after a long day at work. After all, who wants to be in the kitchen (unless you are planning on cooking together, which is always fun) on Valentine’s Day? That’s why I am giving you two very easy and quick recipes to try. The festive duo pairs perfectly together, a refreshing Chambord infused cocktail and some heart-healthy Chocolate Covered Strawberries. In a cocktail shaker with ice, add all the ingredients and shake until well combined and chilled. Strain into a chilled cocktail glass and serve. 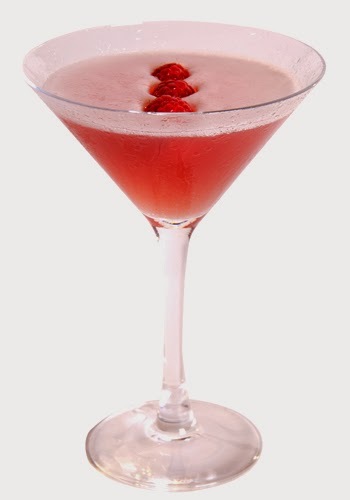 Garnish with 2 fresh raspberries or blackberries. · Heat almond milk in a small saucepan on medium-low heat until slightly simmering. · Pour in chocolate chips and stir constantly. · Place wax paper on baking tray. 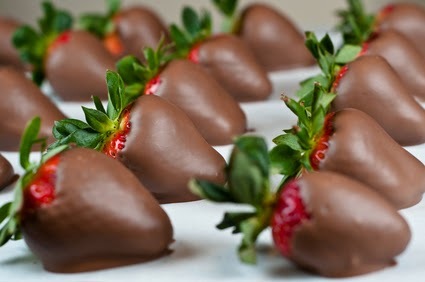 · Once chocolate is smooth, dip strawberries in the sauce and place on wax paper. · Place tray or trays in freezer for 15 minutes, or until hardened.